No one wants a dispute. Our aim is to ensure that real estate disputes are avoided if at all possible and that your risk is minimised wherever possible. If a dispute cannot be avoided, we’ll work with you to resolve it practically and quickly. Our objective is to narrow down the key issues and provide you with pragmatic, cost-effective and realistic solutions. For news and updates including the latest Housing law changes please visit our Real Estate eNews or Sign up to today. 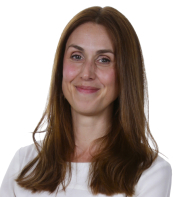 Charlotte is ranked first by Chambers and is admired by sources for her “great understanding of the complexities of social housing legislation.” She has a particular focus on residential real estate disputes and is adept at handling matters relating to leasehold management.